Celebrate the season this year with Restaurant Row. ON THE FIRST DAY OF RESTAURANT ROW... SUSHI! 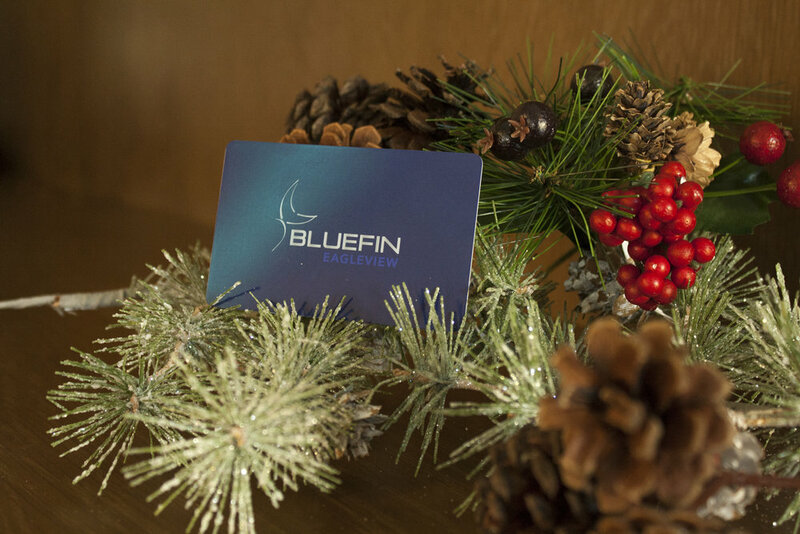 Pick up a Bluefin Eagleview gift card to treat your special someone this holiday season! Get 10% off all gift card purchases until 12.24.17. *In store only. ON THE SECOND DAY OF RESTAURANT ROW... OYSTERS! Visit Brickside Grille on December 2nd for Super Saturday & enjoy 2 for 1 Raw Bar items & $5 Bloody Mary's. While you're there, make sure to reserve your spot for Breakfast with Santa! ON THE THIRD DAY OF RESTAURANT ROW... MIMOSAS! Stop by Bella Vista for Sunday Brunch and enjoy bottomless mimosas with your friends! 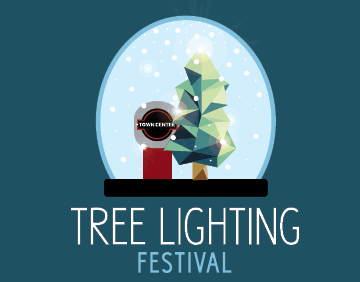 Then, stick around for holiday cheer at Town Center's Annual Tree Lighting! ON THE FOURTH DAY OF RESTAURANT ROW... PANCAKES! Still looking for the perfect gift for your co-worker? Purchase a Nudy's Cafe gift card! As arguably the best breakfast & lunch cafe in Chester County, a meal at Nudy's Cafe makes a great gift for everyone! ON THE FIFTH DAY OF RESTAURANT ROW... TACOS! Did someone say tacos?! Visit Al Pastor on December 5th for Taco Tuesday and enjoy $3 select tacos all day - chicken, carnitas, short rib, & cauliflower. ON THE SIXTH DAY OF RESTAURANT ROW... SUBURBAN SWAG! Are you shopping for a craft beer lover this holiday season? Suburban Restaurant & Beer Garden has the perfect gifts for you! Pick up a Suburban Apparel Bucket - includes one t-shirt, one long sleeve shirt, a sweatshirt, a ski cap and a beer bucket for $50. ON THE SEVENTH DAY OF RESTAURANT ROW... PASTA! Treat your family members to an authentic Italian dinner for the holidays. Purchase a gift card from Bella Vista with a value of $100 and receive a bonus $20 gift card as well. One to keep for yourself - we won't tell!! ON THE EIGHTH DAY OF RESTAURANT ROW... GUAC FLIGHTS! Get the same gift card deal at Al Pastor - purchase a $100 gift card & receive a bonus $20 gift card. That's a fantástico deal we can cheers to! ON THE NINTH DAY OF RESTAURANT ROW... MORE SUSHI! Take a break from the hustle & bustle of the holidays and enjoy a delicious dinner at Bluefin Eagleview. Call 610.458.3234 to make your dinner reservation. Don't forget to BYOB! ON THE TENTH DAY OF RESTAURANT ROW... BEER! It's football Sunday - you need beer of course! Swing by Suburban on December 10th and fill a growler to share with your football friends. ON THE ELEVENTH DAY OF RESTAURANT ROW... WATER ICE! Are you still in need of stocking stuffers? Rita's gift cards are the coolest treats. 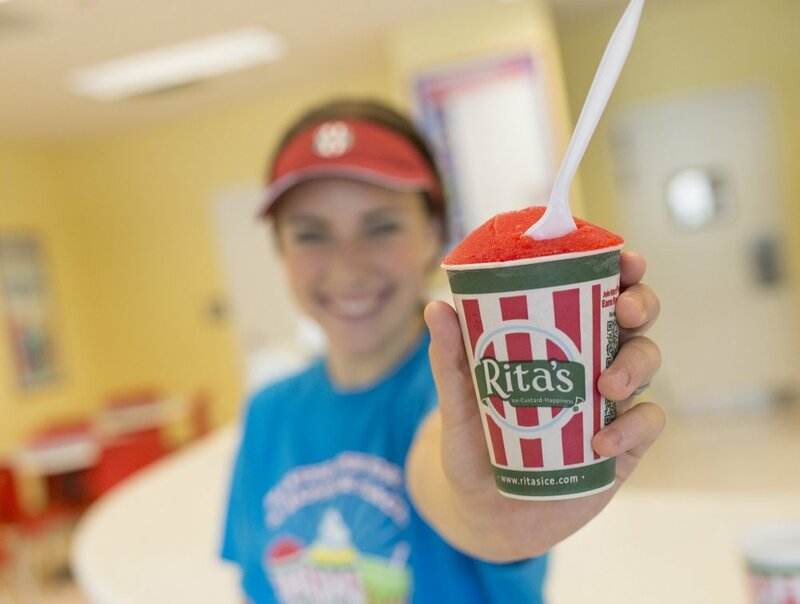 Open year round, enjoy Rita's of Eagleview all throughout the winter season. ON THE TWELFTH DAY OF RESTAURANT ROW... RELAX! Time to relax because your holiday shopping is under control! Grab some friends and hit a happy hour at Restaurant Row. Newer PostA Merry Start to the Holiday Season!